In 2019, the best things come in pairs. 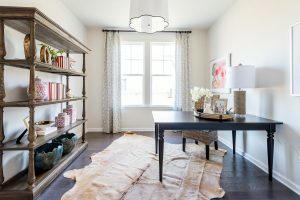 In our popularCanterbury floor plan in the Villas at Ashlake, you’ll find everything you’ve ever wanted all on one level, including “dual masters down” - which means double the luxury and double the love. Having two owner’s suites on the main floor makes incredible use of your space and caters to those who are looking for something extra special in their floor plan. No matter how you choose to use your dual masters down, there are so many reasons to fall in love. From added privacy to built-in comfort, another large bedroom suite makes life so much sweeter. This year, dual bedrooms are “a hot new luxury amenity.” Couples of all ages can get a better night’s sleep (and who can say no to more zzz’s?) 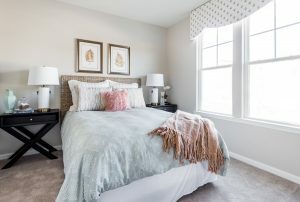 When you need a little time to yourself, the extra bedroom lets you slip away to relax and unwind. Does your husband snore too loud? Do you need space to stay up late to work on your computer? This extra privately located bedroom with a full bathroom and closet is all yours, and provides you with the added luxury you deserve. If you’ve ever been tight for space when your kids or grandkids came to visit, your heart will skip a beat when you see the Canterbury. 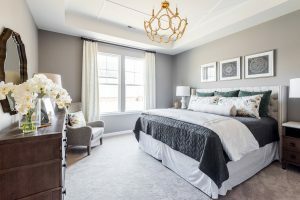 The extra bedroom in this home ensures that your kids and grandkids feel as comfortable and welcome as ever, and it’s tucked away so everyone has their privacy. After a good night’s sleep, everyone can head into your gourmet kitchen to make breakfast together and enjoy it at your oversized kitchen island, in your dining area, or in your bright and sunny sunroom! At the Villas at Ashlake 3 sisters live together in a Canterbury home and it works perfectly! Aside from 2 expansive bedrooms, the Canterbury comes with the option for an upstairs bonus suite, which adds even more room for company. Along with dual masters down, there are many reasons to love the Canterbury. To name a few, a private outdoor courtyard for entertaining and relaxing, a bright four-season sunroom, a den which can easily become a home office with glass french doors for privacy, a gas fireplace, a powder room, large laundry room, unbelievable storage and, last but not least, open concept living that combines your Great Room, Kitchen, and Dining area. 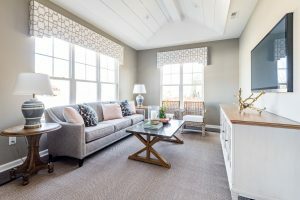 This winter at Cornerstone Homes, love is in the air... Make 2019 the year you fall for the Canterbury. Any of our homeowners will tell you that they wished they made this decision sooner. And they do love living in a Canterbury! Stop by and experience this home for yourself. If you just can't wait to move in, you are in luck! We currently have 3 quick-move-in Canterbury homes available. Take a look before they meet someone else!